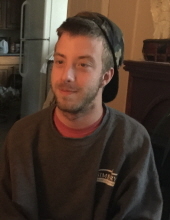 WINSTED – Ryan A. Cote, 26, passed away unexpectedly on Monday, November 26, 2018. Born June 13, 1992 in Torrington; the cherished son of Sharon Testa and the late Edward Cote. Ryan graduated St. Anthony’s School and Gilbert High School. He worked at Midas in Canton. He enjoyed fishing, kayaking with friends and most of all, spending time with his family. He also loved photography and working on and taking pictures of his cars. In addition to his beloved mom, he is survived by a sister, Jessica Fassel and husband Christian; two brothers, Joshua Hunt and Jeremy Hunt; three half sisters, Cheri Cote, Tammy Gulyas and Michelle Steele; half brother, Marc Cote; grandmother, Grace Testa and 12 nieces and nephews. He was predeceased by his grandfather; Dominic Testa and a half sister, Valerie Shafer. Friends may call on Sunday, December 2, 2018 at Montano-Shea Funeral Home, 922 Main Street, Winsted from 2 -5 PM. A Mass of Christian burial will be held on Monday, December 3, 2018 at St. Joseph’s Church, Winsted at 11 AM. Burial will be held at the convenience of the family. In lieu of flowers, donations may be made to: Alzheimer’s Association, www.alz.org or 225 N. Michigan Ave, Floor #17, Chicago, IL 60601. Visit an online guestbook at Montano-shea.com. To plant a tree in memory of Ryan A. Cote, please visit our Tribute Store. "Email Address" would like to share the life celebration of Ryan A. Cote. Click on the "link" to go to share a favorite memory or leave a condolence message for the family.